I wrote on Saturday about You’ve Got Mail and how it is my all-time favorite movie, and a big part of my love affair with the Upper West Side of Manhattan. So after doing some research and mapping out a bunch of the movie scene locations, we set off to explore them on Saturday afternoon! Our first stop was the store front of Kathleen Kelly’s well-loved The Shop Around the Corner. As Kathleen states in the movie, “I own a store, did I ever tell you that? It’s a lovely store, and in a week it will be something really depressing, like a Baby Gap.” While this location was never actually a bookshop, it’s function today is somewhat drab – it’s a dry cleaners! This is a cute little square near the 72nd street 1, 2, 3 subway station. You might remember the scene where Kathleen spies Joe in the market during a pre-Thanksgiving shopping trip and does her best to avoid him, only to end up in the “cash only” line with nothing but a dollar! Much to her chagrin, Joe comes to her “rescue” and convinces the cashier to “zip zip” Kathleen’s credit card through the credit card machine. We loved it so much we actually stopped by again on Sunday after church to pick up bagels, cream cheese, and fresh lox to make sandwiches at home! The scene at Cafe Lalo is one of my favorites from this movie! It’s when Joe brings along his sidekick (Dave Chappelle) to check out “Shopgirl” before going in when they decided to meet up. When they discover it is actually Kathleen Kelly, Joe first leaves, but then turns back around and pesters her while she sits alone. All the while, poor Kathleen thinks she is stood up by her mystery internet pen pal. We stopped in for a quick brunch of a goat cheese quiche (which we split); AJ got a cappucino and I got a mocha cappucino (which unbeknownst to me until yesterday, was the same drink Joe orders while sitting with Kathleen!). We were there during peak brunch hours on Saturday, so looking forward to coming back for coffee and dessert some night during the week when it isn’t quite so crowded. “I wanted it to be you. I wanted it to be you so badly.” Finally, Riverside Park where it all comes together! I tried to make AJ re-enact this scene with me, but he did throw me an obligatory, “Don’t cry, shopgirl.” Such a beautiful park, I love that I get to run through it on my neighborhood runs! Okay, I’m almost finished being a complete nerd. While we didn’t stop at any of these locations on our tour because they are places we actually frequent on a pretty regular basis, but I wanted to call them out because they are locations of some great scenes. You remember the scene where Kathleen goes to the movies with her boyfriend Frank and they get into a fight because Kathleen went for a manicure and “forgot to vote” in the last mayoral election. She storms out of the theater and they end up going to dinner where they both admit they’re not in love with each other. This marina exists in real life, and the Boat Basin Cafe is one of my favorite spots in NYC in the summer! It’s a restaurant and bar built into this old stone structure underneath the Henry Hudson Parkway. It overlooks the Hudson and really does provide spectacular views (of New Jersey). Kathleen comes here with her friend and colleague Birdie to discuss the future of the bookshop. Barney Greengrass is a well-known Jewish deli in the neighborhood, and they’re famous for their Sturgeon. Their bagels with lox aren’t half bad either! I’m planning to do the same thing this weekend! I’m thrilled to have found your blog entry while planning for the trip. Thanks for posting! 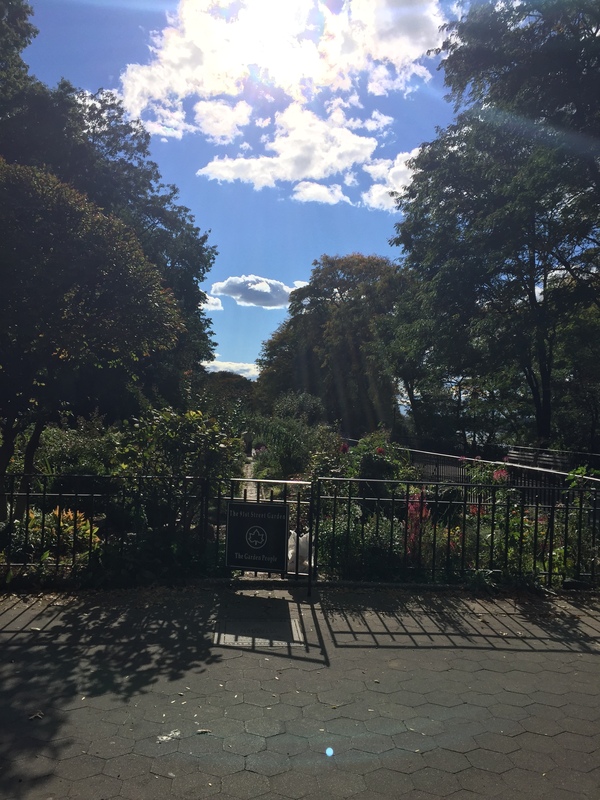 This was a wonderful walk down “You’ve Got Mail” memory lane….loved it. I now want to go rent the movie again!! Loved today’s posting. Makes me want to watch the movie again soon!! !